Before long, mental illnesses will be the most prominent, if not the most common, ailments suffered by Australians. One in four young people suffer some form of mental illness during their school years. In an average classroom of thirty school students, seven will manifest a psychological condition such as depression. Only two of those seven will seek help, while the other five will continue their daily routine without the benefit of any aid whatsoever. In The Wellness Doctrines for High School Students, lawyer and author Jerome Doraisamy tackles head on the stresses that confront young people today, providing sound knowledge based on his own experiences and advice from experts in the field, as well as safe, practical solutions. 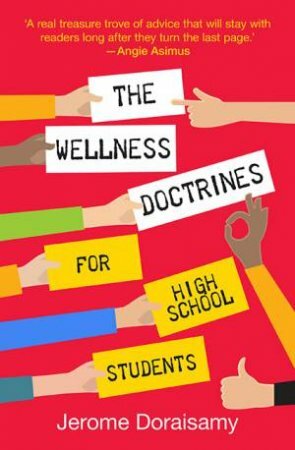 Down-to-earth, reassuring and sane, The Wellness Doctrines for High School Students is the essential go-to manual for teens.